However automobiles called Pontiac don’t belong to cars, which are augmented on tuning scene in big amount, but if somebody starts with its adjustment, almost ever will reach success. Firstly I must say that it isn’ tuning car in the real signification. This automobile belongs to closed circuit, but I can suppose it on open highways too. And I think I am not alone. Is it not? If you would like to see Pontiac GTO in such quality of tuning as it is, I recommend to go to distributors and borrow a movie called The Last Ride. Now let’go back to this project. At first let’s look at the optical tuning therefore visual view. 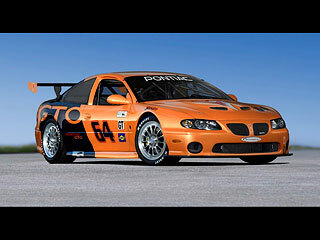 As soon as we look over this car we will be admittedly fascinated by highly painty orange lacquer that is in backside of Pontiac grinding to the combination with dark – blue colour with big and strong title GTO. So let’s get started with description of bodykit. Foremen have taken care of so that the design doesn’effect very extremelly, but vice versa sooner more retiringly. The fender is connected with mask, which is replete by black metal. On the lower part of the bumper is buckling window, which reduces scramjet air to desuperheater of motor and at the same time is formed by means to be able to adjust oppression on both axles. On it’s jambs are oval windows (furred by black metal), which direct air to front disk brakes and thereby advance a safety of crew and the other partakers of scratch race. Under the bumper is mounted a carbon spoiler. Softly formed side lintels are filling up in medial part of car spare bumpers. In the last time more and more tuners prefer ending of an exhaust system in the backside of side lintels (of course we are saying about „duplex“ exhaust system). The front bonnet is downoloadable so that it can be able to reduce maximise of cold scramjet air to motor by two expirations with purpose not to overheat a motor during the races. On the bonnet also we can see a logo of automobil factory Pontiac and a number under which a rider in car races – „64“. In the doors from baggage hold we can find a mounted big winger, which is set up to care about as big oppression of wheels on carriage drive as possible. In front fender is smaller overall window which insures periphery of overheated air from circular brakes. Intro competitive automobiles is axiomatic complete and enough strong derating (on this car was weight delimited on 2700 lb. = 1225 kilograms). Foremen didn’t forget on it at this automobile. In the interior is situated just the most important things such as alarm clocks, lite seats, relieving construction so called cage,... .
Vice versa in automobile there aren’t any back seats, very „affected“ interior and many other bits and pieces such in case of series equipment. Intro the racing cars there are necessary dark windowpanes which are used as a protect before ineligible effulgence from carriage drive or other automobiles. In the doors are situated logos of sponsors of this team. Wheels with thirteen „rays“ effect tastily and also sportly – is it any sacramentality? Disks are in parameters 18 “ x 11,5“ ahead and at the back. On these there are located tyres called Nooster and with quotation 295 – 660 / R 18 ahead and 295 – 675 / R 18 at the back. The engine in automobile is sixlitre LS2 small – block V – 8, which after regulation reaches output till 330 kW (nearly 450 horse powers) at 6400 speed in a minute (the maximum speed which motor reaches are ranging about number 6800). The maximum rotary moment has also interesting rate – 410 lb – ft at 5200 speed. Five-grade sequential gear-box Xtrac 370 GT is looking after shifting. And vice versa disk brakes with drilled disks with parametres 12,9 inches (32,77 centimetres) are looking after braking. Of course the maximum speed just as speed up from 0 to 100kph or 200 kilometre speed foremen don’t mention for competition. So what are you saying? It is a fine toy, isn’t it? We like it and as you like? 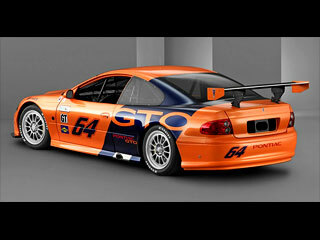 Do you like this supersport GTO American Series Race Car?